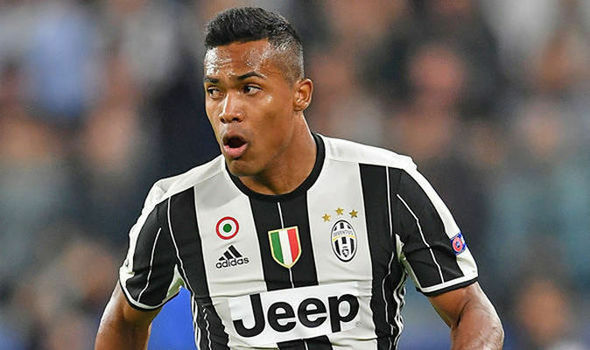 Manchester United are ready to step up interest in Brazil leftback Alex Sandro. The 27-year-old defender has long been linked with a move to the Premier League and if recent reports are to be followed, he could soon be strutting his stuff at Old Trafford. The player has been linked to Chelsea in the past with former Blues boss, Antonio Conte particularly keen to get his signature. However, the exit of the Italian means that the FA Cup holders have cooled their interest in the former FC Porto man. Daily Express are reporting that Sandro has agreed to join Man United. However, PSG are also interested in his services. According to reports from Teamtalk, Ed Woodward, the Manchester United chief executive is ready to sanction a £60m bid for the player as long as Jose Mourinho gives him the greenlight. The arrival of Cristiano Ronaldo at Juventus means that the Old Lady need to sell some of their players to be able to pay the wages of the Ballon D’Or holder. Left-back has been a problem area for United in recent years, as last season’s first choice, Ashley Young is not getting younger while Luke Shaw has his fitness and confidence issues. With just three weeks left to the start of the season, United are in desperate need of reinforcements as Liverpool have usurped us in terms of transfer activity. The Merseysiders have brought in four players as they look to challenge Manchester City for the title. Sandro is one of the best players in the world when it comes to the leftback department. The 27-year-old is known for his offensive and defensive prowess, while his Brazilian flair makes him full of tricks. He joined Juventus in 2015 and has since won 6 trophies in Turin.